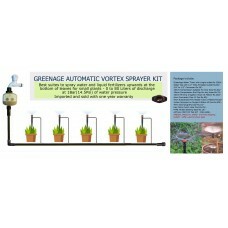 GreenAge Micro Drip Irrigation kit is the simplest and modern method to automatically water your garden plants. 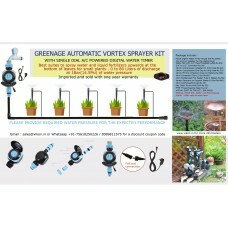 It’s the first of its kind to be introduced in India and can be used to automatically water 50 and more plants in terrace, balcony, ground and vertical gardens. Project can be extended to a large area if you provide the required pressure of water by attaching water pump to your irrigation system. 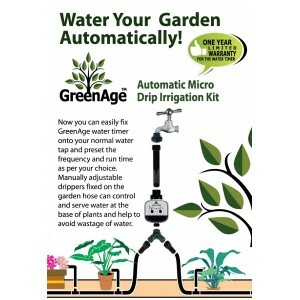 Attaching a pressure controller switch with your mono block water pump helps to irrigate a larger area and makes your drip irrigation system fully automatic . Pressure controller switch makes the pump automatically switch on and off according to the preset timings of GreenAge water timer. We have several models of Micro drip irrigation kits to suit your existing water pressure as well as your budget. 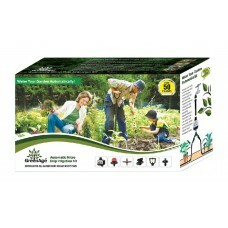 All our products are imported after maintaining international quality standards in production and performance. 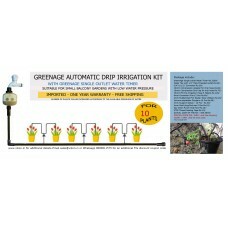 AUTOMATIC MICRO DRIP IRRIGATION KIT FOR 10 PLANTS (L)Low pressure model is designed to work wi..
AUTOMATIC MICRO DRIP IRRIGATION KIT FOR 20 PLANTS (L)Low pressure model designed to work with ..
AUTOMATIC MICRO DRIP IRRIGATION KIT FOR 50 PLANTS (H)High pressure model (GMKH390) is designed to wo..
AUTOMATIC MICRO DRIP IRRIGATION KIT FOR 50 PLANTS (L)Designed to work at low water pressure (14 to 2.. BASIC LOW PRESSURE AND LOW COST MANUAL DRIP IRRIGATION KIT FOR 50 PLANTSWe have different models of ..
HAND OPERATED DRIP IRRIGATION KIT FOR 10 PLANTS (L)Low pressure model and designed to wo..
HAND OPERATED DRIP IRRIGATION KIT FOR 20 PLANTS (L)Consists of Imported products and designed to wor..
HAND OPERATED LOW COST DP IRRIGATION KIT FOR 10 PLANTS (L)Low cost model consisting of Indian a..
HAND OPERATED LOW COST DRIP IRRIGATION KIT FOR 20 PLANTS (L)Low cost model consisting of Indian..
HEAD UNIT FOR AUTOMATIC MICRO DRIP IRRIGATIONThis package will help you set up the head unit of an a.. 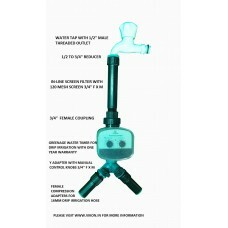 Basic model for the manual operation of Micro Drip IrrigationDesigned to water 50 plants Non Au..